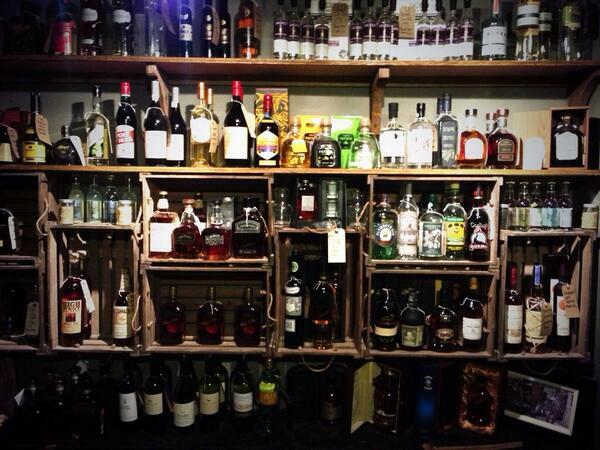 You might not know that Liverpool has it’s very own whisky merchants. It’s okay if you didn’t. It’s not something you’re likely to stumble upon on during a Lord Street shopping trip or a quick pressie dash through Liverpool One. In fact, you’re just as likely to find it on social media as you are wandering L1. But it’s there, and if you look in the right places you’ll discover a new world of alcohol that gives you more than just a hangover. Whisky Business has only been operating for little over four months but it’s making a lot of noise in cyber-space from it’s little corner of the city. And it really is a little corner, within a hushed-up bar, that’s tucked away down a cul-de-sac alley off Fenwick Street. If you can stumble your way to the Slaughterhouse (I’m sure we’ve all had enough practice) you’ll find yourself a roads width away from Whisky Business, under the guise of Jenny’s Bar: one-time seafood restaurant, now self-confessed drinking den. And what you’ll find inside is a treasure chest of fermented grain, for those wishing to pick up the perfect drop for a loved-one; for groups looking for a tasting-experience; or even for the working-lunchers , desperate for a swift short to help them through a Monday. “(We’re) not your stereotypical shopping experience. We’ve got a few-more-years-than-we’d-like-to-admit experience with booze and we like to bestow as much information as people want each time they come down”. Their most recent event took the form of a Japanese Tasting Evening and next up is a joint venture with Liverpool One Bridewell, where the two serve up the finest drops from around the world. The event on 8th May is seemingly the most fun you can have on a spirit-tour without Derek Acorah. If you can’t afford yourself a whisky-head on a school night, there’s plenty of chances to join a similar event throughout the year and it’s not just whisky on the menu. If fine Scotch isn’t fine enough for you, why not go for the Irish version? Or the American (both of which aren’t whisky, of course but whiskey)? Japan (“Japan is booming at the moment, they make some absolutely stunning Whisky and have done since the 1920’s” says Murph), Sweden, India and South Africa are all producing high quality whisky. 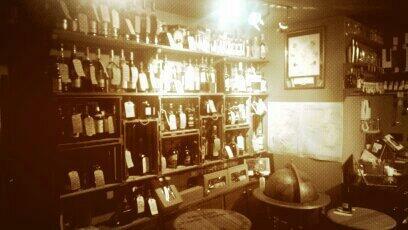 Or why not try one their rums, tequilas, gins, vodkas, absinthes or vermouths (yes, I had to Google that last one too). What Whisky Business may lack in shop-floor space, they more than make up for in on-line presence. They’re making full use of social media such as Facebook and Twitter and at the moment it’s clear that their initial success and their hopes for future exposure (like a lot of independent businesses) rely on this form of communication. Whisky Business was included in a Guardian feature in March titled ‘Top 10 Independent Shops in Liverpool’ and Murph says it’s the relationships between independent businesses that help start-ups to thrive against the all-consuming behemoth of high-street chains. “There are loads of independent businesses and I for one think it’s fantastic. We try our best where we can to do stuff with other independent businesses, it helps give a great feel good factor. I’m sure I’m not the only twenty-something that has yet to develop a taste for Glenfiddich or Famous Grouse, and the fact that Whisky Business are currently monopolising what is a niche area of the drink-scene in Liverpool tells you there is far more demand for Jaegar-Bombs and baked bean flavoured tequila (at least on a Saturday night on Wood Street) than there is whisky. So what is there for people who simply don’t like whisky? “You’ve just not found the right one yet!” is Murphs answer. “People can be put off all manner of things by bad experiences or being given poor quality stuff but it shouldn’t deter you from trying again! Pop down and we’ll find something to float your boat. So there, you (and I) have been told. Even if you’ve convinced yourself a flaming throat is not your idea of enjoyable drinking, get yourself down to Old Ropery, Fenwick Street and open your eyes and gullets to the glimmering world of whisky. And if you can’t find it first time, why not follow them on Twitter, and look out for the barrel!